What Is Big Sweep Malaysia? Are you looking for all ways to test your luck in Malaysia? If so, you’re probably familiar already with some of the numerous lotteries available in the country. The Big Sweep games form a significant portion of these opportunities. Would you like to know a bit more about them? If so, you’ve come to the right place! Big Sweep Malaysia is a lottery operator under the management of the Pan Malaysian Sweeps Sdn Bhd. The name Big Sweep itself is derived from the primary entry in the portfolio of this organization – the Big Sweep game. It’s a lottery that also features a scratch and match portion of the ticket. In this sense, the Big Sweep is unique. No other similar game comes with dual playing modes. The inaugural draw of the sweepstakes-style game took place back in 1989. More than 400 drawings have taken place until the present day. Over this long period, Big Sweep sold over 2.8 billion tickets – an accomplishment that turns it into one of the most beloved lotteries in the country. Because of the popularity of games of luck, the portfolio of the Pan Malaysian Sweeps company expanded with time. Today, it contains a big number of chance games, and you’ll find a bit more about each in the sections below. Pan Malaysian Sweeps Sdn Bhd was set up in the summer of 1988. Operations commenced on February 1, 1989. The company is a fully-owned subsidiary of Usaha Tegas Sdn Bhd. Usaha Tegas is a Malaysian investment holding that specializes in entertainment, media, telecommunications, property, oil and gas investments. Big Sweep is a sweepstake lottery management entity. There are strict regulations and corporate principles governing the work of the organization. Apart from selling tickets and distributing prizes to winners, it also collects funds from charitable causes. A portion of the revenue generated through tickets sales for every single drawing is dedicated to social and charitable initiatives throughout Malaysia. The Big Sweep games are incredibly popular. Each Big Sweep drawing has seven million pre-printed tickets made available to lotto enthusiasts. Over the years, numerous people have had their lives turned around. Pan Malaysian Sweeps handed out a range of massive prizes, including an incredible jackpot of 35 million ringgits that fell in March 2015. 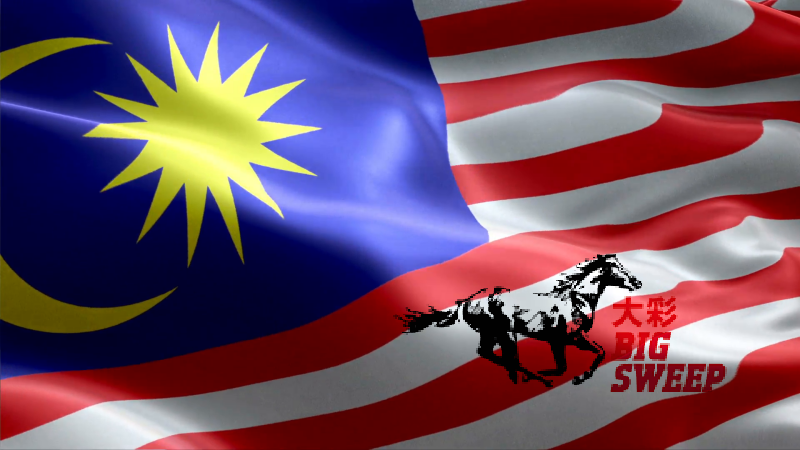 While Big Sweep Malaysia is the primary entry in the portfolio, there are also other ways to win from the Pan Malaysian Sweeps games. Let’s turn our attention to Big Sweep first. Big Sweep is a raffle-style game that’s based on pre-printed tickets. Each ticket has two portions – the main draw section and a scratch and match section. This means that each player has the chance to win two different prizes. Each ticket features a seven-digit pre-printed number. Numbers are drawn for each of the 23,030 prizes available per drawing. There’s a jackpot of 500,000 ringgits per drawing, and if this sum isn’t won, it will roll over towards the next one. Apart from the classic Big Sweep game, there’s an interesting variation called Big Sweep Super 7. Super 7 also comes with pre-printed tickets. There are the main draw portion and two scratch-off sections on each ticket. Once again, the main ticket section comes with a seven-digit number. Each drawing features 56,189 prizes based on the numbers drawn. The top prize is one million ringgits and the second one is 100,000 ringgits. The scratch-off portions of each ticket make it possible for the players to claim at least one of the additional 1,769,189 prizes. The biggest one is a Mercedes Benz automobile. Is Big Sweep Malaysia Legitimate? Big Sweep in Malaysia is completely legitimate. It has been around since 1989 and over the decades, the lottery has produced so many millionaires. Pan Malaysian Sweeps is a reputable, nationally-recognized entity. It is one of the companies in the portfolio of Ananda Krishnan – a billionaire and a highly recognized entrepreneur. The operations of the entity are characterized by transparency so that all lottery enthusiasts can rest assured that they have complete knowledge of what’s going on. There’s no reason to worry about giving the Big Sweep games a try. You have nothing to lose and everything to win! Where to Buy Big Sweep Lottery Tickets? Big Sweep comes with pre-printed tickets that you will need to find and get at authorized retail venues throughout Malaysia. If you want to make sure that you’re getting your tickets at the right spot, you can check out the comprehensive list of authorized Big Sweep agents on the official Pan Malaysian Sweeps website. Typically, you can find tickets in supermarkets, magazine stalls, Da Ma Cai outlets, and all Pan Malaysian Sweeps authorized runners. At the time being, there’s no opportunity for the acquisition of Big Sweep tickets online. Pan Malaysian Sweeps does not issue digital tickets, and you should also remember each one features a scratch-off section. Thus, you will need to get your hands on a physical ticket to attempt winning something. Foreigners who are legally staying in Malaysia can play Big Sweep. If you’re not in the country, however, you currently lack an option for remote ticket buying. Where Can You Find Big Sweep Lottery Results? Big Sweep Malaysia drawings are a big deal because of the huge number of prizes distributed every single time. Naturally, players are eager to find out if they’ve won anything. You can find out if you’ve won anything on the official Pan Malaysian Sweeps website. The results of the latest Big Sweep and Big Sweep Super 7 drawings are made available there. The website also features a detailed archive of past results. It’s also a good idea to check out the official Big Sweep Facebook page. Not only does it provide information about drawing results, but it could also contain important updates concerning everyone interested in the sweepstake. Apart from relying on the official communication channels, you can also get accurate information from us. Our website is dedicated to making drawing results available immediately after the numbers are announced. We’ve also put together a Big Sweep Malaysia archive you can use to check past drawings and reach some conclusions about the most attractive numbers worth pursuing. More information about the latest results is available on the individual Big Sweep and Big Sweep Super 7 pages.